The Copper River Princess Wilderness Lodge is located on the gateway to Wrangell-St. Elias National Park. With 13.2 million acres of virtually untouched wilderness (that’s larger than the country of Switzerland), Wrangell-St. Elias is America’s largest national park. Born of huge ice fields covering the Chugach and Wrangell-Saint Elias mountain ranges, the Copper River is Alaska’s fifth largest river and the tenth largest in the United States. Copper River is rich in Native Alaskan traditions and is the home of a vibrant Athabascan culture as well as the legendary Copper River red salmon. 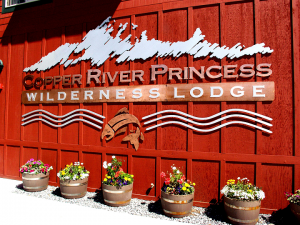 Activities at the Copper River Princess Wilderness Lodge include viewing the magnificent Worthington glacier, dog sledding, fishing, and discovering Kennicott, Alaska’s most fascinating ghost town. The Copper River Princess Wilderness Lodge offers many employment opportunities. Join a world-class team in customer service! Located at the gateway to the Wrangell-St. Elias National Park, Copper River Princess Wilderness Lodge is perched on a bluff overlooking the world famous Copper River. The Copper River area offers many exciting opportunities such as hiking, rafting, world class salmon fishing, and visits to the historic Kennicott Copper Mines. 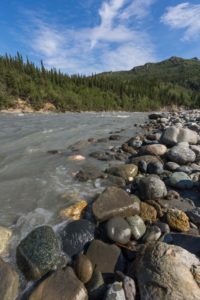 This is a seasonal property in a remote region about two hours north of Valdez and four hours northeast of Anchorage, open between May through September. Copper Center, population est. 450, is located 15 miles south of Glennallen, 4 hours east of Anchorage, and 2 hours north of Valdez on the banks of the Copper and Klutina Rivers. 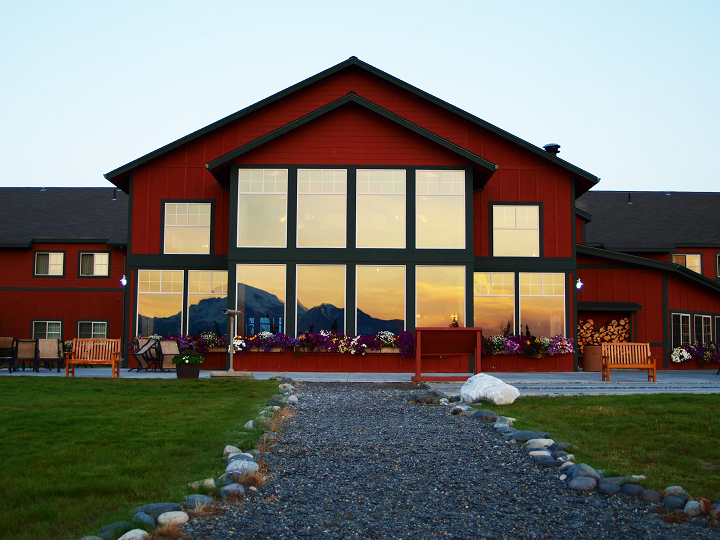 The lodge sits on a bluff across the highway from “central” Copper Center, overlooking the Trans-Alaska Oil Pipeline, the Klutina River and the Copper River valleys and the mountains of the Wrangell-St. Elias National Park. It is breathtaking! There is hiking, camping, fishing, and rafting to do in the area near and around the lodge. Wildlife, such as bears and moose, are frequently sighted in the area. The “business center” of Copper Center consists of the post office, a gas station, a small general store, and some homes. Glennallen, a quick drive up the Richardson Highway and with about 500 residents, has more shopping options, gas stations, hardware stores, churches, post office, and even a second hand shop. Having a car is a definite plus to get around. But if you don’t have a vehicle, you can hop on the Lodge employee shuttle to Anchorage on your days off to get supplies or have a break in the “city”. Employee housing is located less than 1/8th of a mile or less than a 5 minute walk from the Lodge. All rooms are non-smoking and pet free environments. Dormitory living: typically shared rooms with bathrooms down the hall. Meals are included and served in the Employee Dining Room at the Lodge. Limited RV Sites are available. Televisions with limited cable are available in each room. Convenient parking for employees with cars.Employee shuttles run often to Copper Center and Glennallen for shopping and stops at the post office. Also, there are frequent employee trips to Anchorage, Fairbanks, and Valdez available to enjoy on days off. Why Work at Copper River Princess Wilderness Lodge? Copper River Princess Wilderness Lodge offers an opportunity of a lifetime–catch a world famous Copper River red salmon, see the amazing Alaska wildlife, wander through the history in the Kennicott Copper Mines, experience Wrangell-St. Elias National Park, walk on a glacier, and make new friends from all over the world, all while working for the Alaska Tourism Leader, Holland America-Princess. Upon successful completion of the terms of the employment agreement, an attractive discounted travel program may be available, including cruises with Princess Cruises, Holland America Line, and Seabourn. Discounts are available on tours offered at the Tour Desk during the summer and on lodge stays at the other Princess Wilderness Lodges.